Systems integration solutions: We are specialists in turnkey applications, merging a variety of sophisticated packaging and material handling systems into a fully automated production line. Complete installation, start-up and training, aftermarket service and replacement parts capability available on all projects. Contract servicing for scheduled preventative maintenance programs. 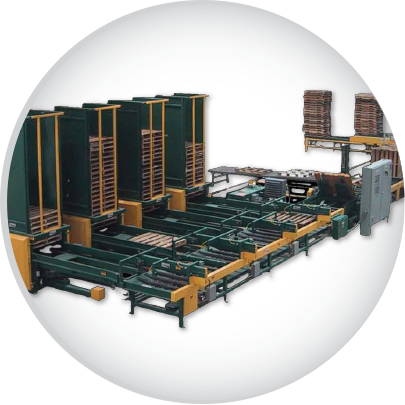 Palletization and pallet handling equipment is our specialty. From Millwood’s reliable pallets to and Liberty branded, turnkey equipment solutions, you can find everything you need for palletization in one place. We know that pallet-handling equipment needs to be both efficient and versatile. Get the palletization machinery and service you need at Millwood.